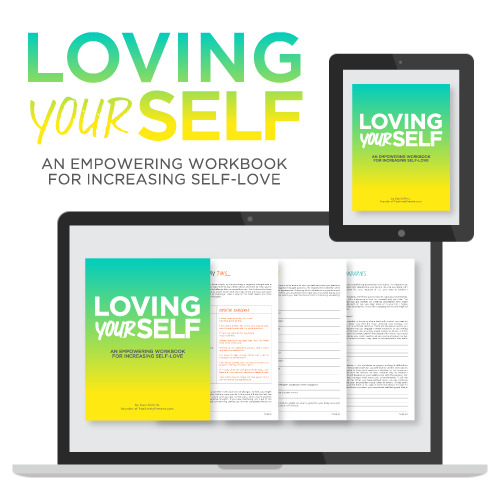 Loving Your Self is a workbook created by Dani DiPirro, founder of PositivelyPresent.com, to increase self-love and appreciation. Loving Your Self is a workbook created by Dani DiPirro, founder of PositivelyPresent.com, to increase self-love and appreciation. The workbook focuses on four key aspects of self-love: Loving Your Body, Loving Your Mind, Loving Your Heart, and Loving Your Life. It's interactive and engaging content provides insights into how to better love yourself as well as offering opportunities for empowering exploration of the self.